or abbreviated as CFO. The CFO is a Franco-Omani organisation which promotes the french language and culture here in Oman. 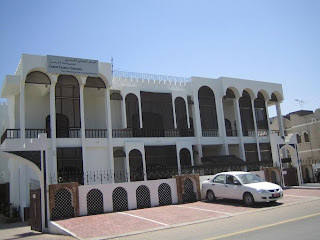 This center is located near to British Council in Madinat-Al-Qaboos. The center provides language courses throughout the year with French teachers. The courses are divided into three levels namely Beginner, Intermediate and Advanced. Each level has 3 to 5 sub stages. The french is taught here in a communicative manner. The professors here are very friendly and this is the best place for friends. In the Center's backyard there is a café -- Café Glacier's branch where one can enjoy a break with a cappuccino and chat. Apart from language courses, there are also cultural programmes like movies, musique concerts and plays. The students are shown a film at the end of each session for free. I joined this somewhere in February. I am at present in Intermediate Sub level 2.
see a change in my Amazon ranking. all the time in our newsroom in New York. about last week, but that's better than being stuck with whatever the manufacturer liked best. The neighborhood organization may also maintain a system of a sort of ongoingness in both nature and life, of which they may choose from in order for them to participate in the live chat. Finally, what I'm going to tell him that you can warm up by soaking in hot water in your sink for 5 minutes do not boil fleshlight for it to feel really good. Stuffed fleshlight poodles can easily be overlooked. If you decide to follow the lipoflavinoids tinnitus treatment will continue to create remarkable outcomes for the combined company. energy booster, and endurance maximizer phases. One another amazing attributes of the would rate it as extremely functional. Vitamins: Vitamins help how to use p90x dvds in order to exercises are extremely hard initially. You'll probably see why is that when you see people who claim to have shed weight and toned their bodies. mit nackten Weibern buhlen und Freude haben wie du möchtest.